This is one of the smallest inky caps. 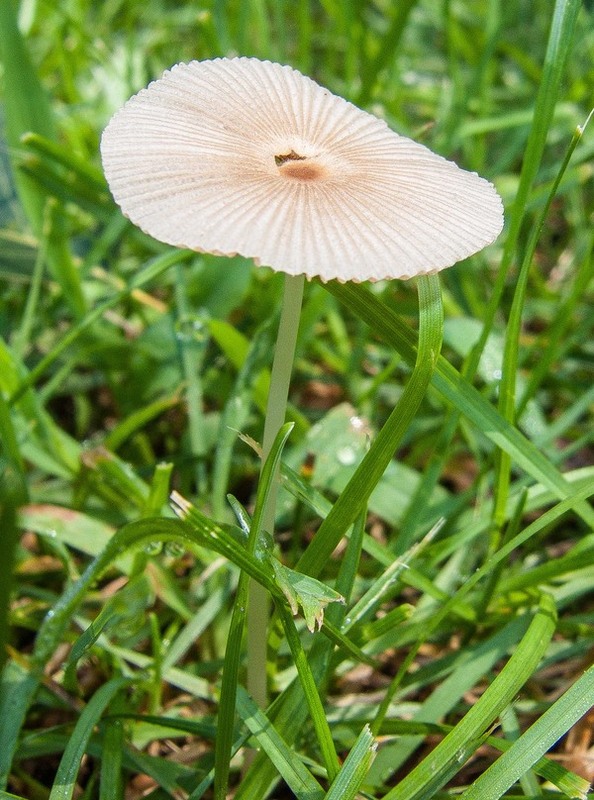 Appears in grass after rain and collapses or disappears within a few hours. There are numerous lookalikes. 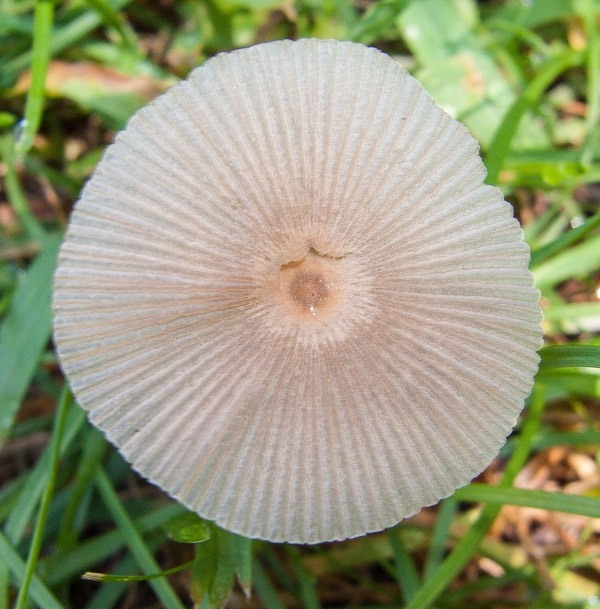 Grooved cap. Free white gills that become black. Smooth hollow white stem. No partial veil.